What Title change? Which Book theme? Today is the first Wednesday of June and that means this is my monthly Insecure Writers Support Group post. One problem though – I can’t remember what I was going to write about. A few days ago, I had a brainwave so I scribbled down ‘Title change’ and ‘Book theme’ in the notebook that I use for blog post ideas. If I don’t create a mnemonic then I use a phrase to trigger my memory, but it seems that doesn’t always work. MORAL: Make proper notes, not cryptic scribbles. Normally, I have a notebook per project – although when I was a journalist, everything went into the same spiral back reporter’s pad, until I had to start a new one. My current project, “Storms Compass” began as a notebook for the “Gossamer Flames” collection of short stories. But now, as I edit it, it has spread into its own notebook. My “Snowdon Shadows” series has a notebook each for the first two books – “Fates Maelstrom” and “Seeking A Knife”. NOTE: The protagonist, Welsh detective Sparkle Lodge, uses mnemonics to solve her cases, but cleverer ones than mine. Plus she has a better memory for her cryptic clues. Some projects end up with innumerable notebooks, like my debut novel “Spiral of Hooves”, mainly because it took over thirteen years to write. But I will make odd notes on scraps of paper. Some are transferred, others are short-lived, and some are lost. Just remember to ensure that all notes make sense, because there comes a day when the brain freezes, or in my case short-circuits. The awesome co-hosts for the June 3 posting of the IWSG are M. Pax, Tracy Jo,Patricia Lynne, Rachna Chhabria, Feather Stone, and Randi Lee! 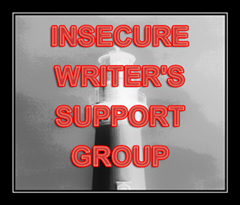 This entry was posted in Ideas, Writing and tagged Insecure Writers Support Group, IWSG, Memory, Mnemonics, Notebooks. Bookmark the permalink. Lol! That has happened to me and when I’m making the note, I’m sure I will know what it means but then of course, later…I don’t. 🙂 I love using notebooks too and have 3-4 going all the time. Have a great IWSG day! Thanks for dropping by, Tracy, and have a great day yourself. I use notebooks too. 🙂 Mostly that was because I didn’t have a laptop but I just got one last month and yet, I am still using notebooks. haha I love them! And they are much better to make notes and store research in. Agree Chrys about computers and notebooks. Although I save files and pictures on my desktop, the notebooks are “the fount of all knowledge” or rather scribbled thoughts. These are the kinds of obscure notes I leave for myself all the time, so as far as suggestions on what you might have meant, relax, you are in the hands of a professional. This is about joining the UK peerage. Pretty transparent, really. I imagine your inner dialogue went something like this: “For the love of God, this writing-in-a-cluttered-makeshift-space-while-subsisting-on-a-diet-of-Ramen-noodles thing isn’t all it’s cracked up to be. A better approach might be to become the Earl of Dorincourt.” And when you think about it, that actually makes a lot of sense. Happiness Enhancement and Melancholy Erasure.” I am not sure what you were going to say on the subject, but I’m fairly certain it was going to be brilliant, so please try and remember. I hope this helps, Roland. The Baron & Baroness of Duskweald hereby proclaim that David Waid, author of some parish unknown, has with great skill and bravery uncovered the secret of Roland Clarke’s missing brain. This will of course become a blog post, when all other appendages become available. The said David Waid, may well be asked to submit more evidence at the discretion of the Baron & Baroness. 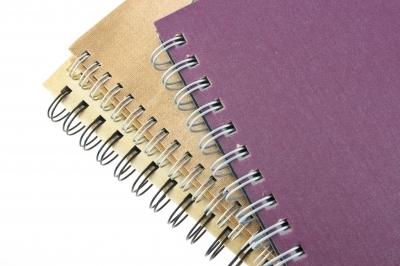 I don’t use physical notebooks anymore to make notes, because I usually can’t find where I put them, or they got scribbled on by my kids, or they got shredded by my dogs, or I just can’t read what I wrote. Now I have a slew of Google Docs, txt files, Word docx, and yWriter projects spread out over multiple accounts and cloud services. They don’t make any more sense than my physical notes, but at least I can only blame myself if they end up destroyed. Although I save stuff to my computer as well, I have to watch out where I put them as I seem to reformat the hard drives at regular intervals – so filling up Dropbox, One Drive, and a USB drive. Now if I get permission to live in US, then I while need a new car. Maybe that would involve a ‘title change’. Thanks for the comment and suggestion, Lori. I take a lot of notes, but never on paper. I’m too afraid to lose them. I have a writer’s program (mine is Liquid Story Binder) and I organise everything concerning my stories on it. Notes, first drafts, timelines, charcters’ sheets, everything. I think, if we have a projects, we’ll end up using one methodes of storing information or another. Notebooks work for me as I can take them place that the computer objects to. However, keep meaning to try Liquid Story Binder as a means to organised my material on the computer – it tends to be in different programs. Was using Scrivener but that let me down at one point, although still using Aeon Timeline which integrates with it. Good advice, Roland. I’ve also found that it helps to write (somewhat) legibly — and if notes are saved on a computer, to back up said computer religiously. Good reminder Milo – backing up is crucial, especially more than once. One backup can fail. You do have some creative titles. Maybe you were going to talk about changing a title to better suit a book’s theme? Thanks Alex, that is possible as the odd title gets changed around a few times. Although, I’m lucky the way titles arise early in the writing process. My debut novel was always called “Spiral of Hooves”, even though it took over 13 years to write. But maybe, it was the title of this blog, or at least part of the sub-title where I use the word ‘fledgling’.